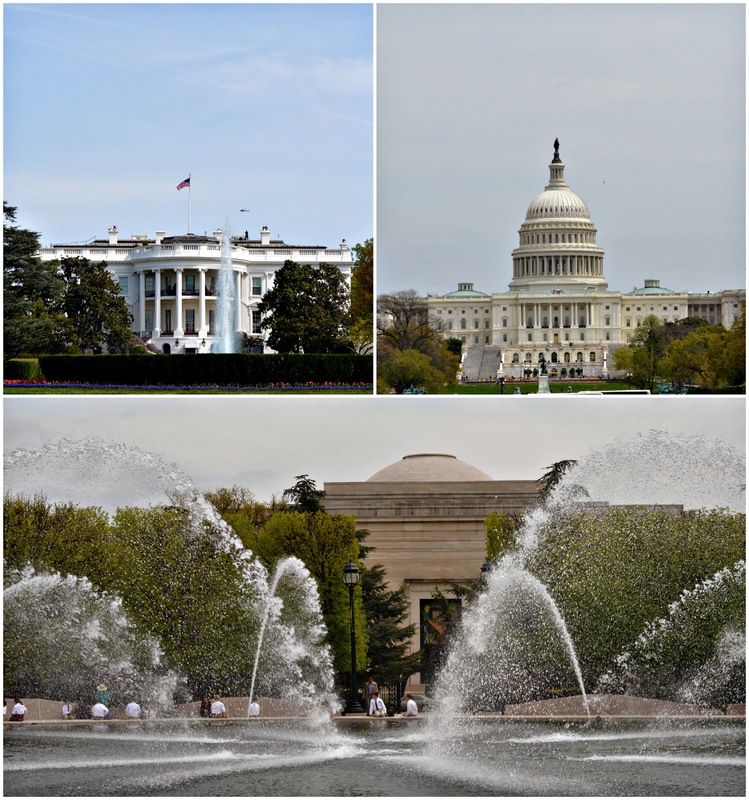 Washington is a fabulous city, filled with countless attractions and gorgeous scenery. This is my second time visiting the Northern Virginia area, and the weather this past week has made the trip even better than the last. We've all been there. 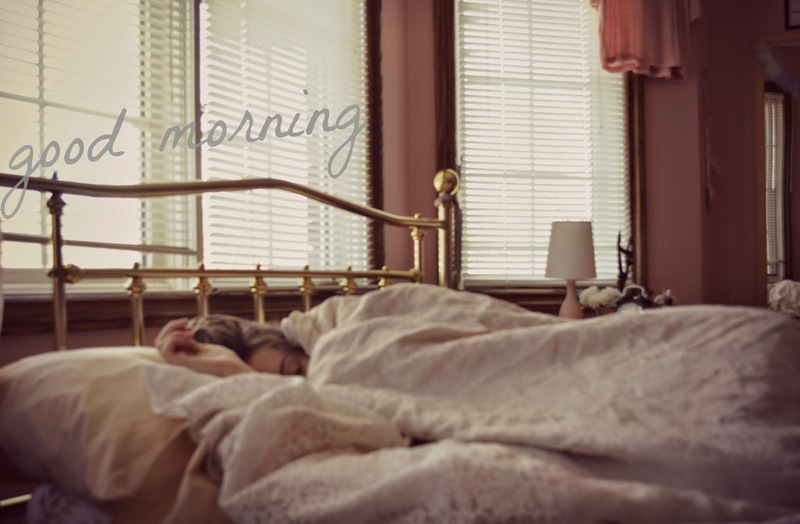 Dreary, dark mornings, feeling as if our sheets are locking us down under them with no escape. That faint sound of the alarm goes on, then off, and back on again. All of a sudden, your eyes shoot open to reveal the time of departure glowing maliciously on the clock. Then the frantic brush, fluff and breakfast scarfing begins. My record time? 7 minutes. Mind you, that means a highly questionable outfit choice. For me, spring is a time to turn over a new leaf and get myself on track. Exams are in the past and winter jackets can finally be tucked away. Here are some tips I'm trying to implement in my own schedule, to ensure that my summer months are productive as can be. Getting a workout in before noon will keep your body awake when it should be, and tired for bed. Exercising late in the day definitely isn't bad, but it could result in a more hyped up evening, delaying sleepy time. I've been told by countless efficient people that it's crucial to limit screen time and completely shut down at least 30 minutes before lights out. I know this is such a tired request, but try to read a book. weather its for school or pleasure, locking those eyes onto some paper and text will surely make falling asleep a breeze. There's nothing quite like the luxe packaging and top-notch pigmentation of an expensive makeup product. Sadly, this level of exquisiteness does not always come along with the hefty price tag. 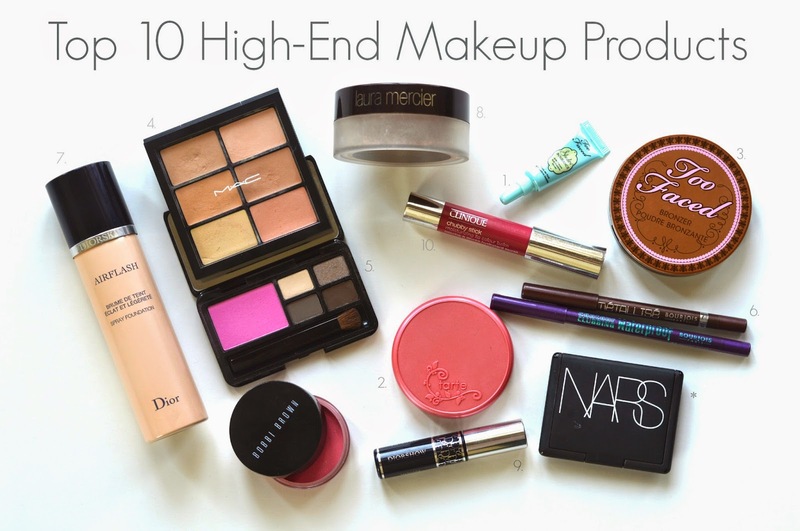 In this post, I will be outlining my list of high-end makeup items that have truly lived up to their hype. 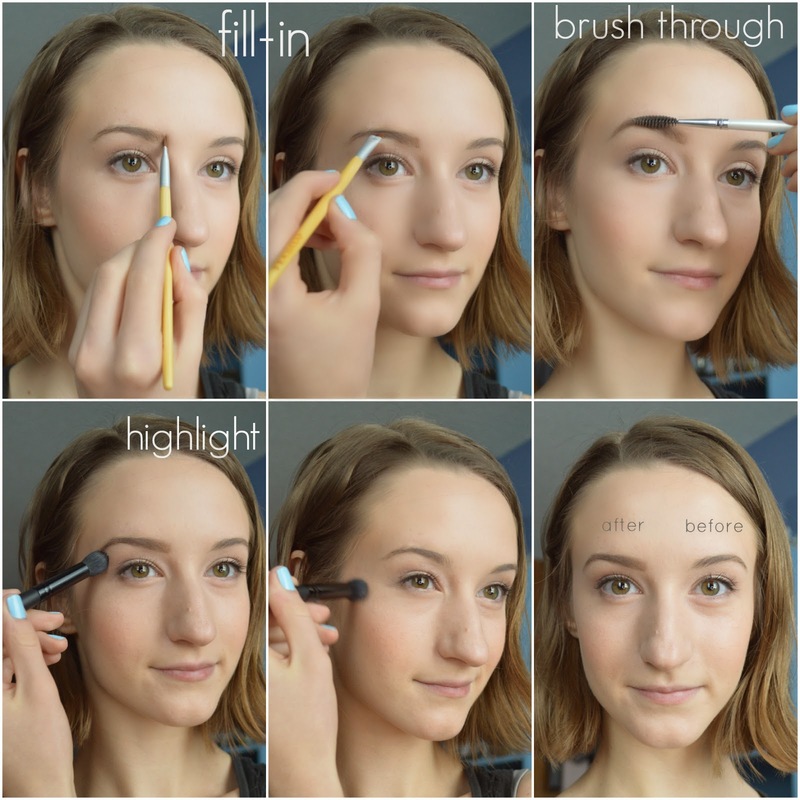 Priming my lids is a non-negotiable step in my makeup routine. I would recommend either of the two primers listed above, but more so, the small size of Urban Decay's primer potion. Unless you are a makeup artist or apply eye shadow every day, the full sized tubes won’t get used up before their expiration. You can see my eye primer review here. When shopping for makeup, I rarely make decisions based on brand name. I'm all about finding something that works the absolute best, regardless of its name or price tag. That being said, I've tried some of the cheapest, and most expensive makeup items on the market. 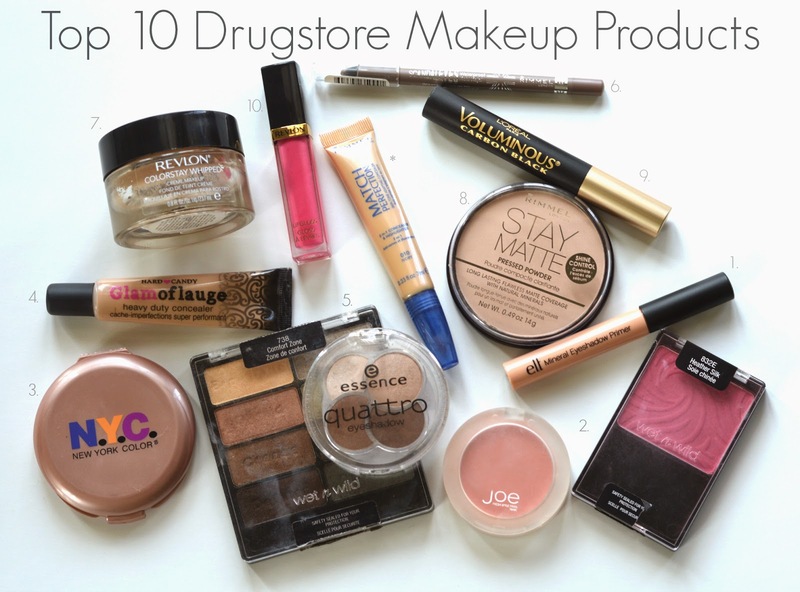 In this post you'll find my ten(ish) favourite drugstore finds that work just as well, sometimes even better, than their high-end counterparts. Eye shadow primer is an absolute must whenever I'm doing a full face of makeup. See an in depth review of my favourite options here. A good powder blush can be hard to find at drugstores. Many of the inexpensive options are super powdery and sparkly, which isn't always flattering. These Wet n' Wild Color Icon blushes are amazing, but are only available in Walmart and some Loblaws in Canada. For cream blush, I love the ones from Joe Fresh. They're only a few dollars and come in an array of unique colours. See my swatches in this post. Ahh, Spring. How nice to finally see you again. A few weeks back I found an email in my inbox outlining some fun and fluttery fashion trends for this warmer weather. I felt so inspired by this Holts Muse link that I had to create a shorter report of my own. I've highlighted two trends which pull together some of my favourite clothing pieces in my current wardrobe. Nothing says spring like some cute pastel hues. With Easter right behind us, this is the best time to start incorporating light, bright colour into our lives. I'm not always a fan of pastel overkill, but I find that the varying chiffon fabrics and patent accessories make this look quite wearable. I absolutely adore a good print. When it comes to printed pants, I really hesitate to splurge especially since many prints can really accentuate the thigh area, in a not-so-hot way. Luckily, there are lots of cheaper options available for printed items, especially when the material is a polyester or cotton blend as opposed to silk. These Forever 21 pants have an cute and intricate pattern on very comfortable and flowy cotton fabric. When buying any printed clothing item, remember that loose-fitting is usually the most flattering and will make the item look most expensive. A tight, cotton, floral tee won't look as "high fashion" when compared to a looser, polyester blouse. "Shopping my closet" is one of my favourite things to do at the beginning of every season. You don't have to go out and buy an entirely new wardrobe to fit the trends, simply pick up a few trendier items and pair them with your existing favourites. 1. Drinking water keeps your skin from drying out. What keeps skin moist is oil, not water. Drinking water will surely help your body function properly, and too little can dull your appearance. But your skin may still look dry even if you drink 8+ glasses a day. Not true, poor hygiene and crazy hormones do. Mistakes like falling asleep with your makeup on, not cleaning your makeup brushes often enough, or using the wrong skincare can surely cause breakouts. Keep your makeup products in a constant state of cycling in and out and don't go thinking that a collection of 40 blushes from 2010 is going to do you any good. Although toothpaste may have a drying effect, it’s not a product recommended for clearing skin. The ingredients in toothpaste like mint or fluoride can be major irritants to the skin. 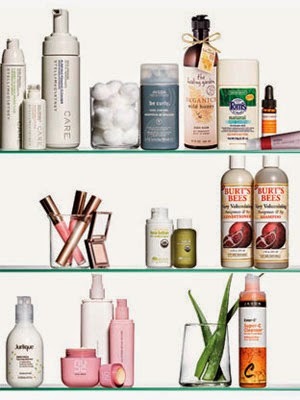 See my thoughts on skin clearing ingredients in my last post, here. Although I haven't had naturally horrible skin, I have experienced some pretty bad reactions to various skincare products in the past. I also have a terrible habit of picking at any spot of unevenness on my skin that I see, or feel. What I have come to realize over the past few years is that one of my most prominent values in life, happens to now play a huge role in my skincare: everything in moderation. That extra huge dab of acne cream is not going to kill the blemish faster, and washing your face 4 times a day will do far more harm than good. My skin is super sensitive and can be quite troublesome. I began to get small breakouts about 6 years ago, which started to get progressively worse a few years later, and now have begun to taper off. There are many factors which have an effect on the skin's overall appearance, some being internally and the others externally. Just last week I had the opportunity to attend a launch event hosted by Kao at my beloved hair salon, Haartek. The attendees were educated on Kerasilk, which is a new smoothing treatment from Goldwell. I've tried many products from the Kao brands in the past, and have not once been let down by their impressive results. Now, what is this smoothing treatment, you may ask? After hearing this, my first question was, "does it damage the hair?" This treatment could actually do the opposite. Since the smoothing effects last for such a long time, your unruly hair will need less heat styling to achieve that silky look. And as we all know, less straightening means far less damaged hair. Before and after shots with sample tendrils, highlighting all 4 stages of treatment strength. 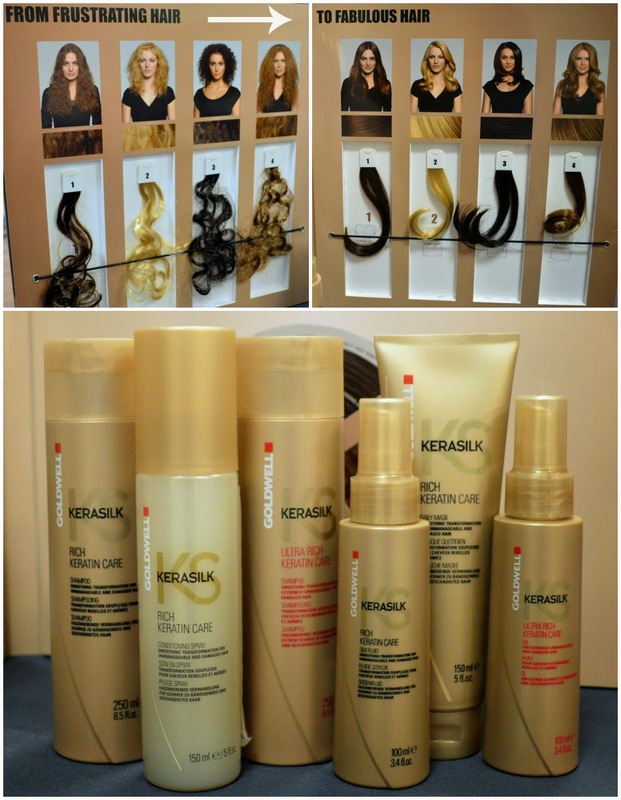 The Kerasilk product line which helps maintain and extend the life of your smoothing treatment. For some, going shopping is exciting, fun and generally enjoyable. For others, it is a dreadfully painful task which may rarely occur throughout the year. 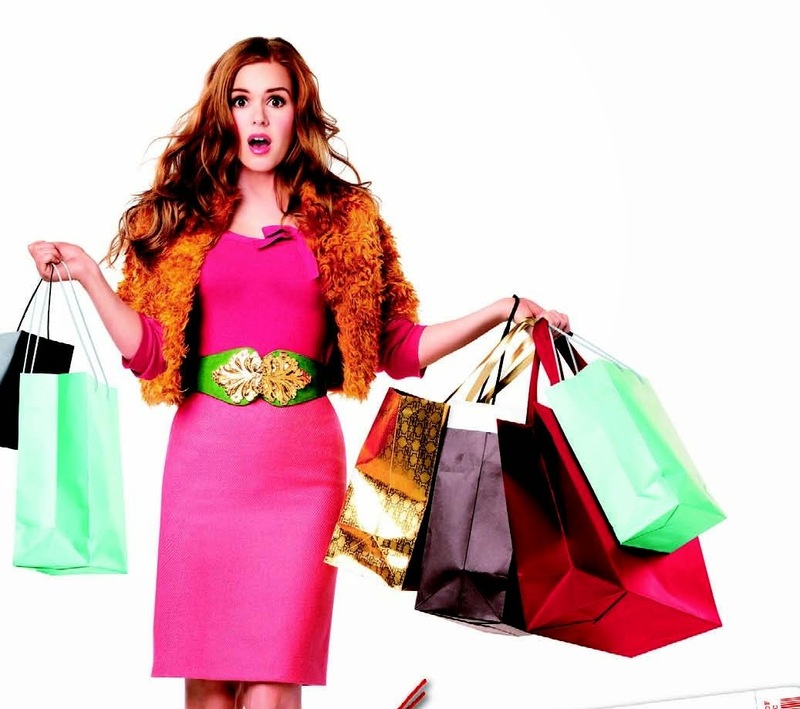 As a follower of fashion trends, I have grown to love the whole atmosphere and experience of shopping. This may sound superficial and all, but I am a controlled shopper and I stick to a budget, so that I can grow my savings while still indulging in the things that make me happy. The key element to my love for shopping is being comfortable. I hate carrying too much stuff, feeling constricted in my clothing, dealing with crowds, unkempt merchandise displays, and unnecessarily warm environments. I also do not enjoy paying full price for an item when I know that there could be an opportunity to save. Above all, I like feeling safe and happy when I am in a position of purchase to ensure that everything goes smoothly. Considering this list of (slightly high-maintenance) requirements, I have compiled my shopping tips for anyone planning on making some future purchases. 1. Time of day is crucial. Tuesday or Thursday morning is the best time to go shopping. Right when the store opens, displays are pristine, sales assistants are helpful and stock is usually fresh. I especially love going to Sephora at this time since the testers and samples are clean, stocked and very inviting. For those who have regular commitments and don't have a weekday morning free, any day first thing in the morning is typically a safe time to hit up the shops. For some reason, collecting lip balms was a huge thing back in the 90s and early 00s. I used to live in Sarnia, which is a small city situated right across the boarder from Michigan. We used to take teeny road trips across the Blue Water Bridge, en-route to the infamous Target, where we would stock up on all the necessary 90s apparel and accessories. Sure enough, one of those staples were Bonne Bell Lip Smackers. My sisters even went as far as stashing their Lip Smacker collection in these fabulous tin boxes, just to make sure the labels stayed in pristine condition. We had all of the classic flavours, plus the snazzy limited-edition sparkly holiday collections, which always smelled divine. I didn't really appreciate it back then, but their quality is actually quite impressive. I recently started digging through my makeup stash and found a bunch of lip balms, many of them being some of the Bonne Bell classics (recently purchased, don't worry). They've been handbag staples ever since. I was a big Arthur watcher in my childhood days. One of my most vivid memories of the show is the episode where Arthur has the chicken pox and takes an oatmeal bath. I never really understood the reason why, until recently. Not only is oatmeal absolutely delicious, (see my favourite recipe here) but it also has incredible skin-soothing properties. 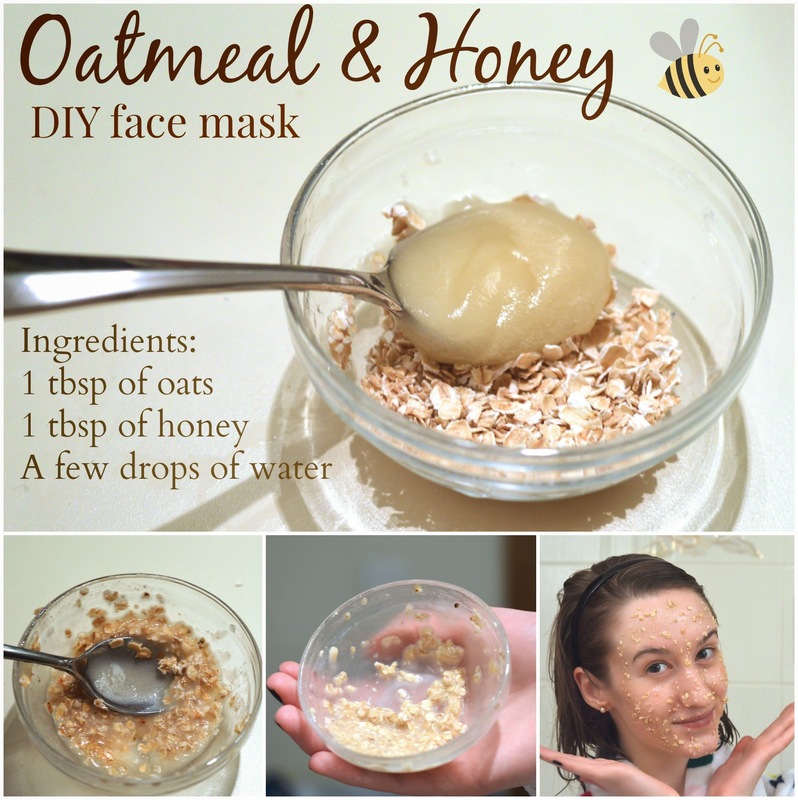 When combined with liquid, oats become moisturizing, soothing and protecting, serving for the most incredible face mask. My favourite concoction also incorporates honey, which is both anti-inflammatory and anti-bacterial. You know what that means... blemishes, be gone! Properly shaped and groomed eyebrows are much more important than we might think. At one point in time, everyone has probably been a culprit of either over-plucking or over-filling their brows. Whatever the case may be, the result is never pretty. First off, I would recommend visiting a professional to have unruly brows shaped properly. It is truly an art and doesn't come down to just plucking away the strays. Believe me. The end result will blow you away. I go to the most lovely lady named Feri, who specializes in both threading and waxing. Threading is perfect for brows since the thread pulls on the hairs themselves, not the skin. Unlike with waxing, the skin will stay taut and won't be prone to stretching and wrinkling. I'm fortunate to have pretty full brows, so I don't have much filling-in to do. If you have sparse brows, I'd definitely recommend using a pencil as opposed to a powder. The result will be much more natural since you'll have to draw in actual hairs to fill the voids. This pencil from Anastasia is supposed to be the absolute best. Using a small angled brush, pick up just a bit of matte powder in similar colour to your hair. I use the brow powder from The Body Shop in brown/brunette. © Classically Contemporary | All rights reserved.